Old, messy bulletin board are history at logistics giant DB Schenker terminals and warehouses. The company deployed digital signage in 2010. After a five year in-house testing the communication form was brought to professional level with FirstView Digital Signage solution. “The displays take communication effectively to employees who don’t have access to the company intra. Management is done remotely nationwide and also locally by the terminal and warehouse managers”, explains Head of Communications and Marketing Pasi Ripatti. Bulletin boards became digital signs, and no more paper, tacks or time is wasted. Parts of the digital signage communication content is automatically updated. For example bulletins on the company website are automatically updated to screens with the RSS feed. 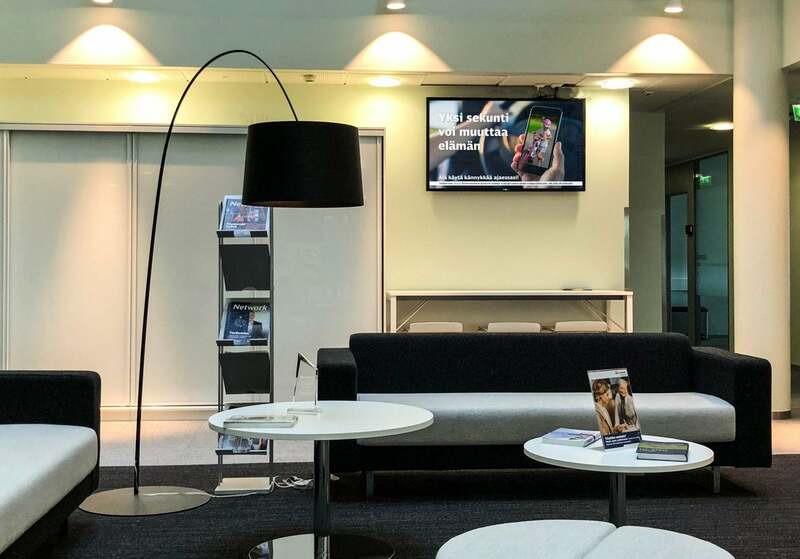 DB Schenker has been active in suggesting improvements to the digital signage solution, and FirstView has answered by keeping up quality service continuous system development. Domestic FirstView services and products enable fast reacting and product development. FirstView functionality, flexible CMS, and Finnish R&D has been the right fit for DB Schenker. In 2015 the company installed FirstView displays to the headquarters. The office staff has access to the company intra, but still FirstView displays can push most relevant information and highlight certain topics when needed. 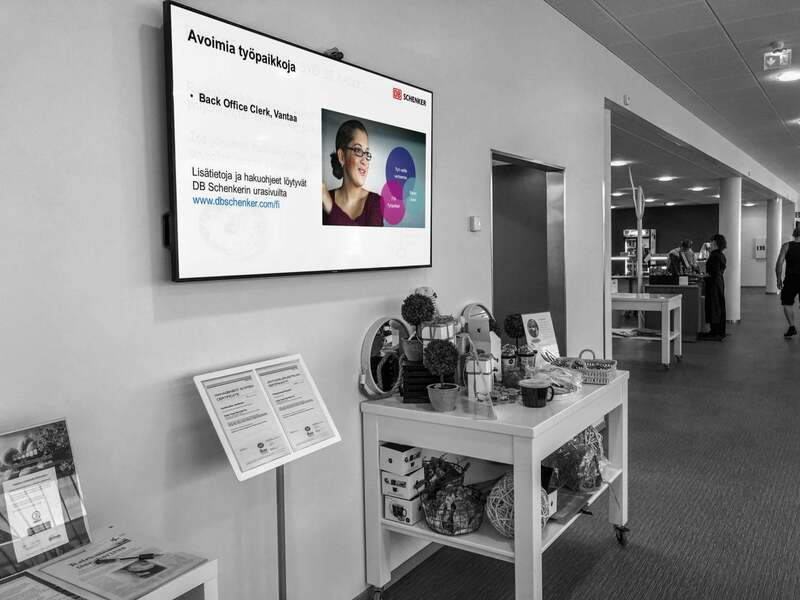 DB Schenker has approximately 50 FirstView displays in use around Finland. If you want to get rid of bulletin boards and thumbtacks, and bring your communication to current day standards, contact us! Together we’ll find your optimal digital signage solution.